We hope you enjoyed our April Fools joke this year! Make sure you're following our social channels for fun content and neighborhood happenings straight from the Rosslyn BID. You can find us on Facebook, Twitter, Instagram and Linkedin. Joking aside, we really are excited for warmer weather and the rest of what's to come this year. Stay tuned for all the events we have planned for you! 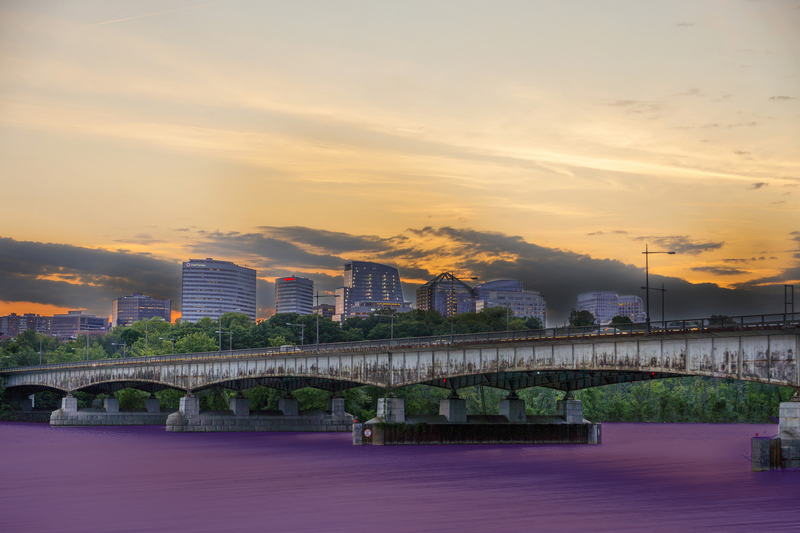 Check out the all the pictures of the purple Potomac River in this image gallery.